On this workshop Vernon will help you to put the past to rest by identifying and clearing your limiting subconscious beliefs and trauma. And in addition to learning healing tools that you can implement in your every day life, time is set aside for each student to work directly with Vernon to get energy healing and clairvoyant insight using his gifts. Each of us are beings of energy and we structure our lives with our conscious and unconscious thoughts. Our relationships, business lives and bodies are just accumulations of concentrated energy that are formed and realized by our feelings and focus. Mental confusion and the experience of emotional and physical pain are results of unbalanced energy that comes from our past and appear as blockages in different aspects of our lives. 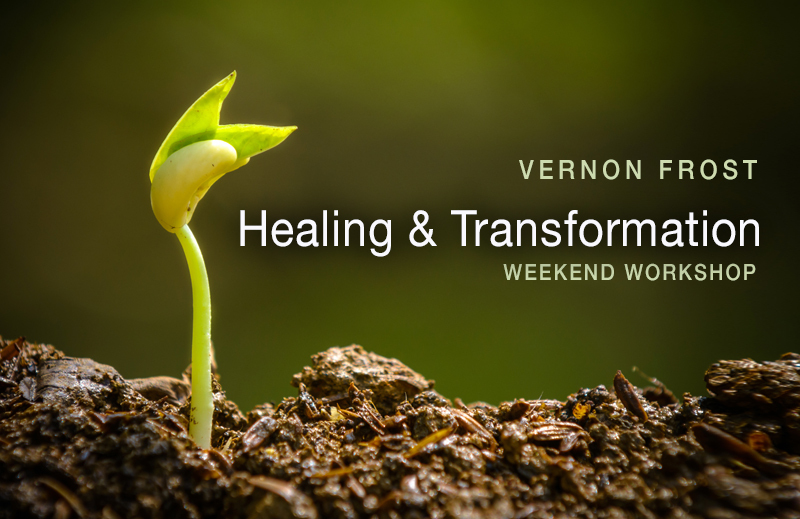 By utilizing Vernon’s teachings and working with the healing energies of this workshop, your whole energetic system is cleansed, allowing you to regain your true balance and overall wellness. The benefits of these healing workshops are profound. To get the maximum benefit set an intent of what outcome you’d like from the workshop. It can be something physical or emotional. Perhaps you are struggling with finances or relationships, or maybe you have on-going body issues and disease. Choose something that would significantly improve your life if you cleared that issue. • How different would your life look like if you were not held back by fear or pain? • Are you ready to discover your true potential? • Learn practical healing tools that you can implement in your life after the workshop. • Work one on one with Vernon to uncover your subconscious blockages. • Get rid of the emotional patterns that are limiting you and your life experience. • Feel the benefit of deep guided meditations. • Experience mental, spiritual, emotional and physical improvement by balancing your energy. • Reprogram yourself by cleansing your cells from burdens that no longer serve you. • Improve your psychic abilities and intuition. • Raise your level of awareness and perception. All levels of experience are most welcome. To ensure maximum benefits for all participants, bookings are limited. If you would like to secure your booking, do not hesitate to contact us now, all levels of experience are most welcome. What to bring: We will be providing morning and afternoon refreshments. We suggest you bring a packed lunch but there are many restaurants in the area if you’d rather eat out. Wear loose, comfortable clothing and please bring a notepad and pen, and bottled water.